Bush began his political career in Houston and considered the city his home for more than half a century. Former President George H.W. 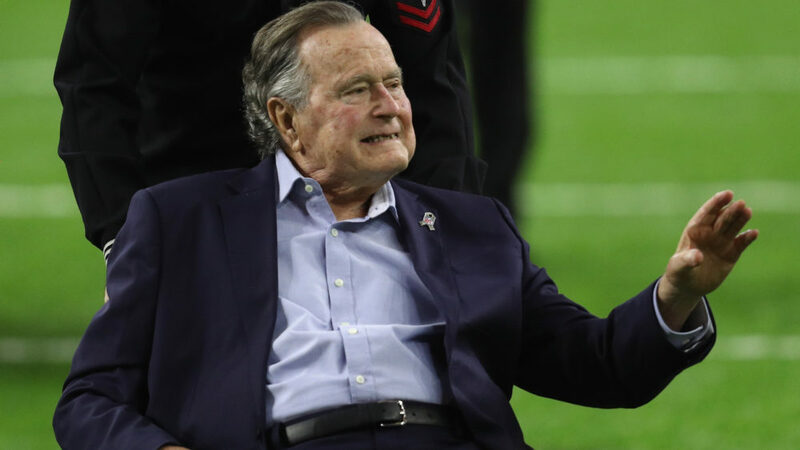 Bush arrives for the coin toss for the 2017 Super Bowl in Houston. 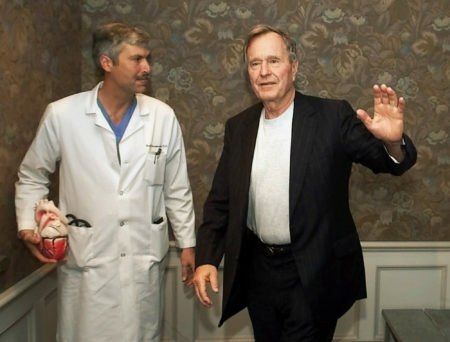 Former President George H. W. Bush passed away on Friday, November 30, at the age of 94. Bush began his political career in Houston in 1963, when he was elected chairman of the Harris County Republican Party. He served two terms in Congress, then as U.S. ambassador to the United Nations, head of the Republican National Committee, and director of the CIA, before making his first, unsuccessful run for the White House. After two terms as Ronald Reagan’s vice president, he was elected the nation’s 41st president in 1988. “Yes, he was born in Milton, Massachusetts. Yes, he grew up in Connecticut. Yes, he went to Yale. 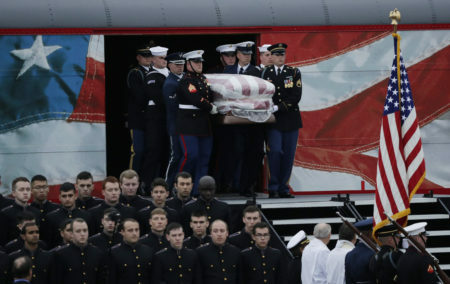 But the truth is Texas was his home, and he loved living in Midland, and he was just at home in Houston,” said Andy Card, Bush’s deputy White House chief of staff and long-time friend. The World War II hero presided during the collapse of the Soviet Union and the final months of the Cold War. The 1991 Gulf War stoked his popularity, but he lost his bid for re-election to Bill Clinton in a campaign in which businessman H. Ross Perot took almost 19 percent of the vote as an independent candidate. 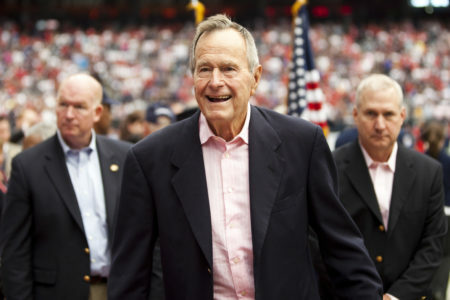 Still, Bush lived to see his son, George W., twice elected to the presidency — only the second father-and-son chief executives, following John Adams and John Quincy Adams. His wife of more than 70 years, Barbara Bush, died in April 2018. Bush was the nation’s oldest living former president. 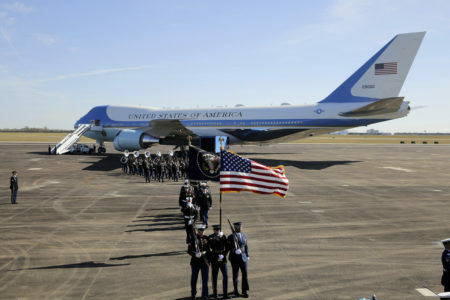 Following a service at Washington’s National Cathedral, he will be buried on the grounds of the Bush Presidential Library in College Station, Texas. Following the announcement of the former president’s passing, political leaders from across Texas expressed their condolences.